Join the multi-talented Max Kellerman and former NFL star and ESPN analyst Marcellus Wiley weekdays from 3-7 p.m. for an in-depth look into the latest in L.A. sports. 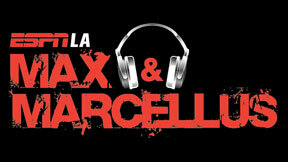 Don't miss a minute of Max & Marcellus! Listen back to each hour of every show.